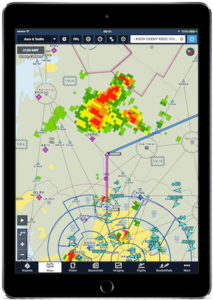 traffic and weather to your EFIS and iPad for the same cost as ADS-B receive-only solutions. While other companies are looking to cash in on the ADS-B mandate by selling you a new transponder and WAAS GPS, uAvionix is taking a different approach. echoUAT works with your existing avionics, allowing you to put your savings in the fuel tank and fly more. Already have a KT76A, Narco or Garmin Mode C? With the echoUAT integrated power transcoder, there is no need to replace your existing transponder. The power transcoder decodes squawk and pressure altitude by sensing pulses in the aircraft electrical system. What about Apollo, Becker, Funkwerk, Microair or Terra? 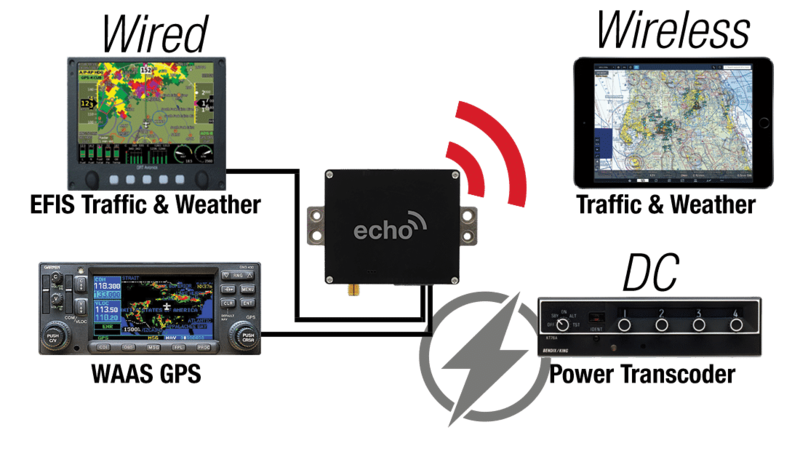 echoUAT works with your existing WAAS GPS. Fewer antennas to mount, less equipment to install and more value from your existing panel. Don’t have an existing GPS? Add uAvionix SkyFYX GPS for $400! 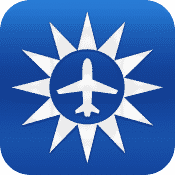 echoUAT receives dual-band ADS-B traffic information. 1090ES and 978(UAT) traffic broadcasts are displayed on supported EFB moving maps relative to your aircraft position and altitude. 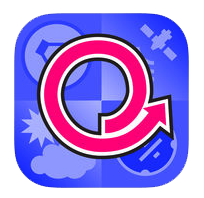 echoUAT receives subscription-free in-flight weather (FIS-B) directly from FAA ground stations. 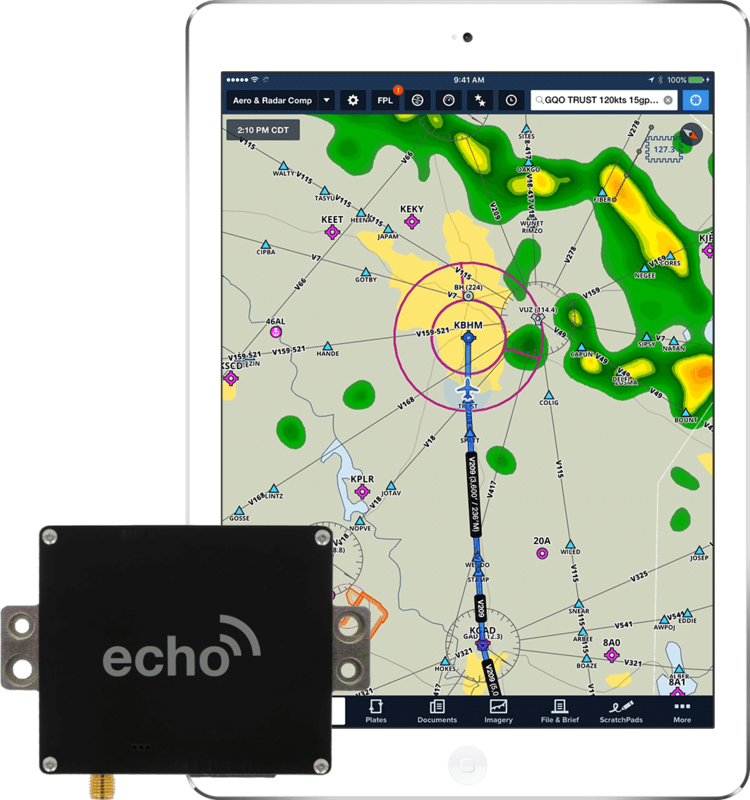 echoUAT has built-in Wi-Fi allowing you stream ADS-B traffic and weather to the application of your choice. 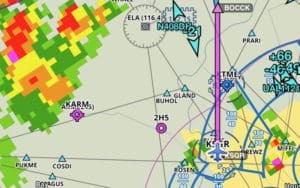 echoUAT is a ForeFlight Connect approved device. 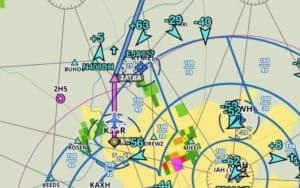 ForeFlight Connect gives pilots a more efficient and enjoyable experience. 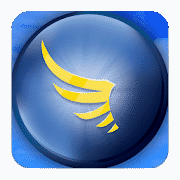 This exciting integration opens enhanced communication between ForeFlight and your EchoUAT. No, unlike some competitors, the echoUAT uses a single monopole antenna for Transmit and Receive. You will need to mount the UAT In/Out antenna and a GPS antenna if you do not already have a compliant GPS source. Will I be able to see weather and traffic on my preferred EFB? A. 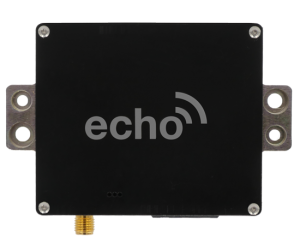 No, the echo has a built-in Power Transcoder that works with most legacy Mode C transponders. That means no extra workload for you in the cockpit. echoUAT also supports direct wire options for Apollo, Garmin, Sandia and Trig models that support RS232 communication.